Yo Yo Honey Singh Reveals About His Playlist On The Occasion Of World Music Day! Music sensation Yo Yo Honey Singh once again treated his fans by unveiling his playlist on the occasion of World Music Day. 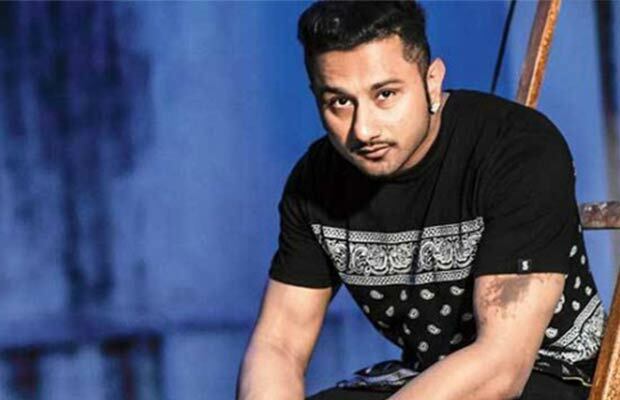 Yo Yo Honey Singh took to his Facebook page and posted a video in which the rapper was seen discussing his playlist and also played his favorite songs. The ace rapper shared,” I would like to wish everyone a Happy World Music Day, people say there is no life without music, so for me and all musicians every day is world music day”. Yo Yo Honey Singh further shared,”Many people ask me what do you listen to?. So I would like to tell them that I listen to many different types of music ranging from Punjabi old school to Punjabi new school, Bollywood old school to Bollywod new school, some ghazals also, some contemporary music, so I have a very wierd playlist”. After which Honey Singh played all his favorite songs and gave insights on all the songs he played. The name Yo Yo Honey Singh is almost synonymous when it comes to touting rap or hip-hop music in India. Yo Yo Honey Singh’s songs have always been a party favorite. Over the years Honey’s songs like Chaar Botal Vodka, Dheere Dheere, Brown rang ne, Angrezi beat te, Blue eyes, Love dose has always been a party favorite. Next articleVipul Shah Says Namaste England Is Very Simple, Funny And Romantic Film But Also Carries A Strong Issue Forward!